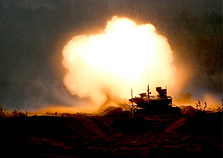 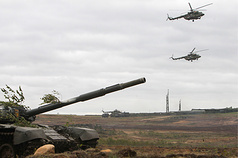 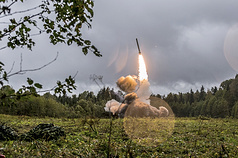 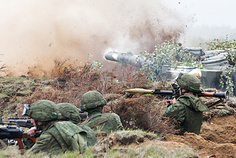 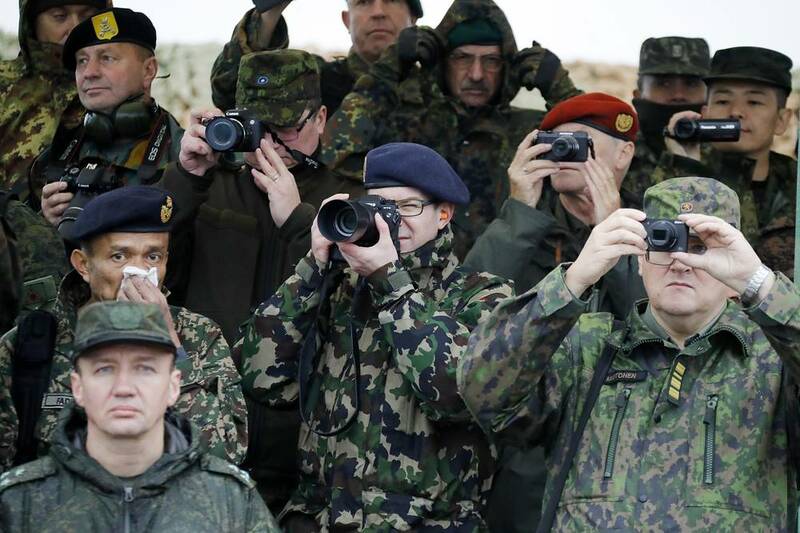 The drill involves almost 12,700 servicemen, about 70 planes and helicopters and up to 680 equipment units, including about 250 tanks, almost 200 weapons, multiple launch rocket systems and mortars, as well as 10 ships. 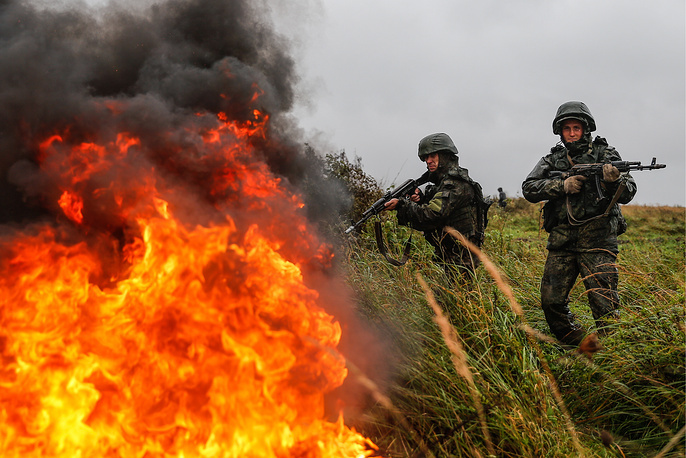 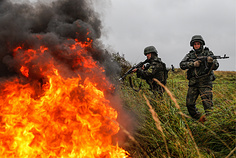 Under the scenario of the exercise small groups of militants had infiltrated into Russia’s territory across the border to have merged into several large units each having a strength of up to 500 men for staging terrorist attacks and acts of sabotage. 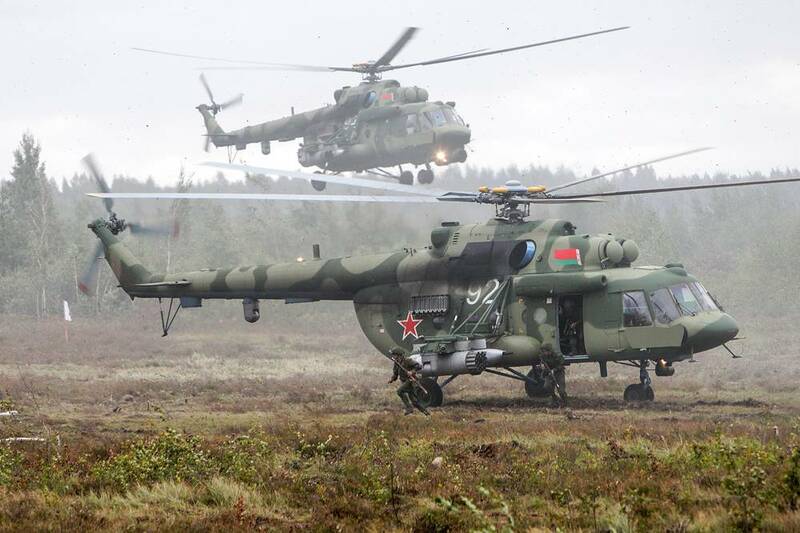 They seized a large number of light aircraft and drones at airfields near the border. 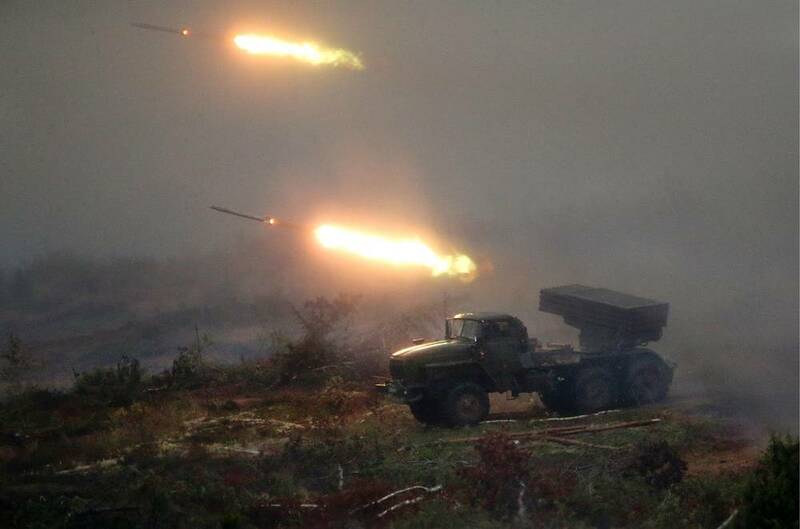 For this reason air defense artillery systems Pantsir-S1, air defense missiles Strela-1 and other counter-weapons had to be used. 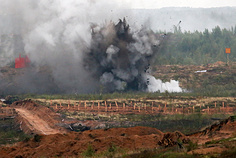 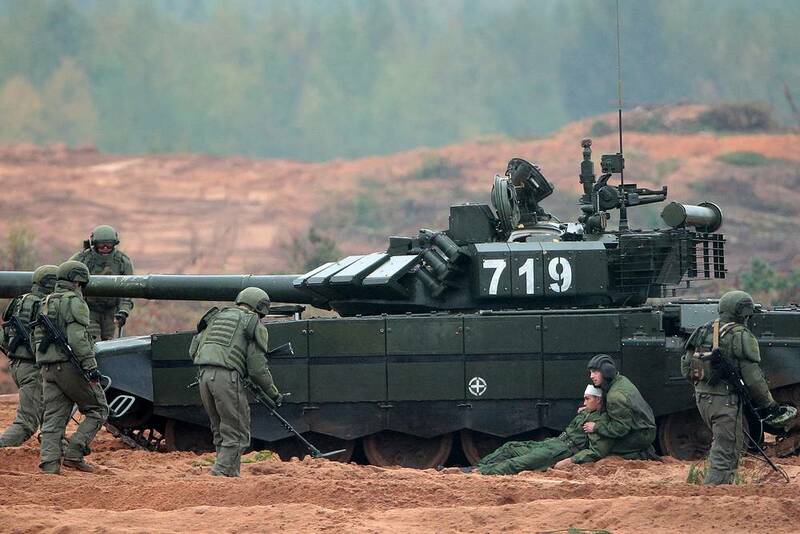 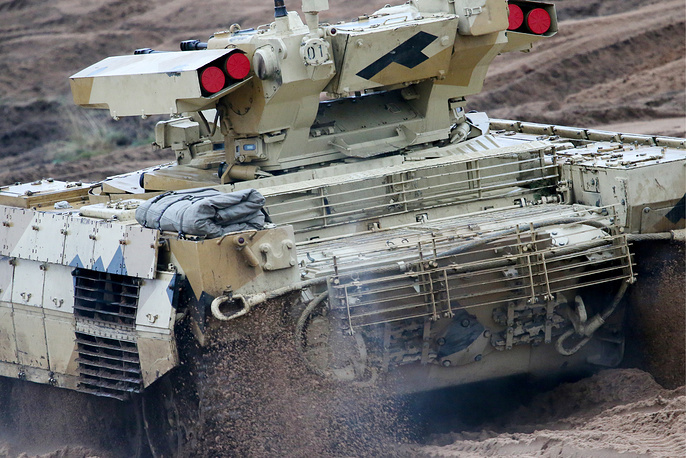 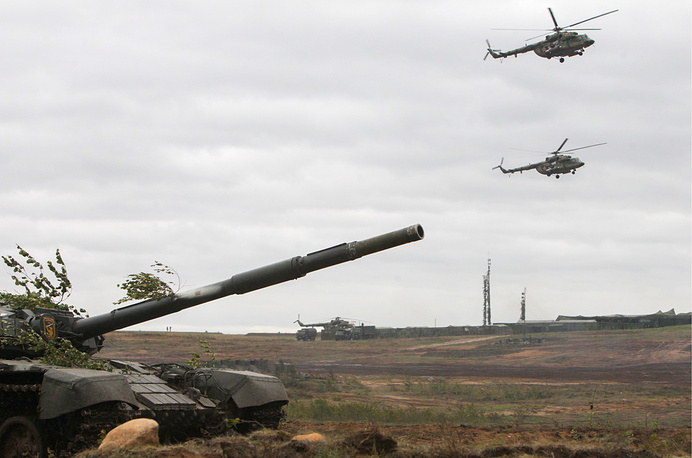 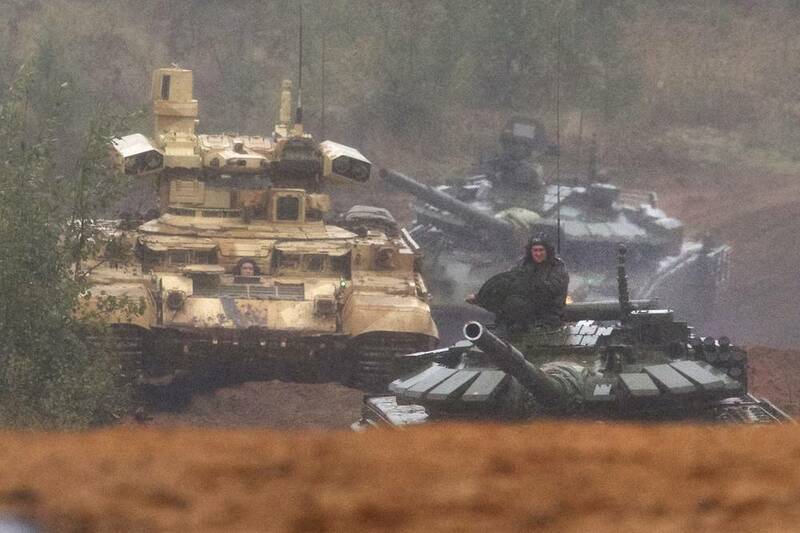 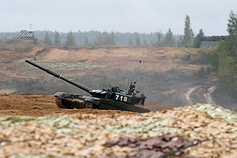 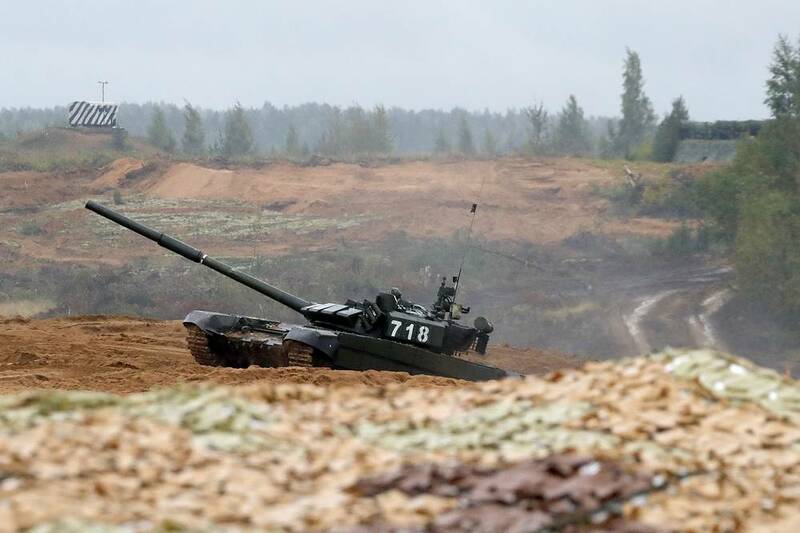 On the ground, the enemy was attacked with support provided by artillery and armored vehicles, including T-90 tanks, the newest tank support vehicles Terminator, front-line bombers Sukhoi-24, fighter-bombers Sukhoi-34 and also Mi-24, Mi-28 and Ka-52 helicopters. 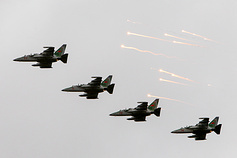 The concerted attack against the hypothetical terrorists on the ground was accompanied by an air assault. 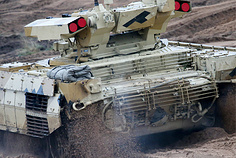 The intruder forces were sealed off and eliminated. 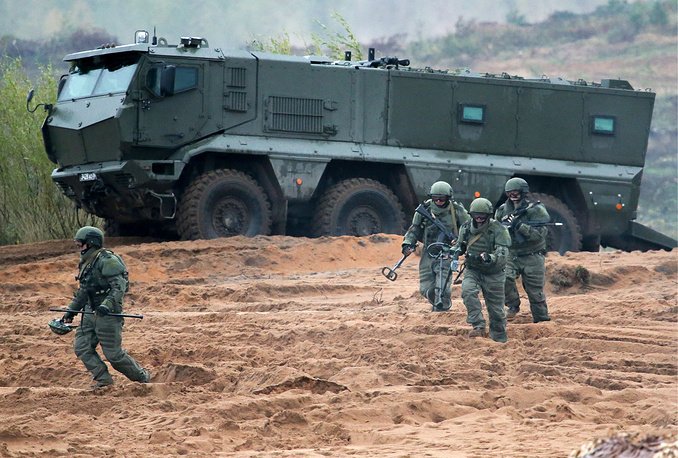 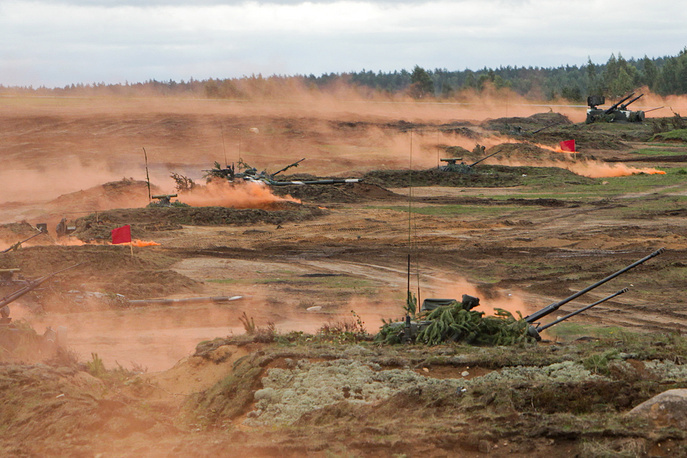 The strategic exercise Zapad-2017 is the last phase of joint training by the armed forces of the Union State of Russia and Belarus this year.